"Baby-faced Beauty" is a romantic-comedy centered around a 34-year-old woman with a babyface as she works to become a fashion designer and overcomes obstacles like having only having a high school diploma and a bad credit history. "Baby-faced Beauty" takes over KBS2 Mon & Tue 21:55 time slot previously occupied by "Detectives in Trouble" & will be replaced by "Spy Myung-Wol" on July 11. Eastender Jul 25 2018 4:02 pm This is hard to watch because almost everyone is unkind and cruel to Lee So Young. This includes her family. Her sister does the worst things to her. Maybe it gets better... I am only on episode 4, but poor Lee So Young seems unable to stick up for herself, and I can't believe someone's own family would be so horrible. melissa Jan 16 2018 10:37 pm And the lead actress character is SO WEAK though? She let ppl trample over her and keep doing her best in a pitiful way. Not a great role model though? Arabella Dominique Oct 30 2017 6:37 am The very first drama when I haven't experienced the Second lead Syndrome~~~~I mean the main leads are just so perfect for each other~~ I hate to experience another heartbreak like in school 2015,kkkkk..
Arihant Sep 09 2017 11:35 am Really enjoyable romcom! Came upon this show as I was surfing thru Jang Nara dramas (really liked her in Fated to love you) and started watching it as I had also liked the lead Daniel Choi's negative turn in Big Man. This show may not have gloss or high production values but it has so much heart! The fashion tests and competitions reminded me of "King of Baking",an all time favorite. Daniel Choi plays a rare supporting male lead to a titular heroine so well and is one of the rare kdrama male leads who does not give into noble idiocy of any sort.Jan Nara is exceptionally beautiful and keeps you invested in the character with a natural act. Great supporting cast too (didn't feel any character was unnecessary) Great show to watch to lift your spirits! Carolina May 24 2017 9:55 am I liked the series at the beginning the ending was just so lame. All the characters were fine but the lead actres was very weak and let people do as they please with her. Also what is up with tHe main guy.... he was so immature and honesstly i was rooting for mr ji the ceo. The thing that bothered me the most was how he stalked her and made scenes about her just hanging out and she allowed him. also he seemed very controlling especially when he would show up in places and demand her to leave... so sexist... i wish they would've given mr ji more personality or more air time so he wouldve been a possible love interest for real. HJ lee May 23 2017 11:27 am I like this drama very much . I just finish it.... where was I? Lol .... this drama really great and I like male lead role very much. *two thumbs up for the writer , director and all casts. Daebak!!! lrt Mar 06 2017 4:23 pm Jang Na-Ra was so much fun in fated to love you and she doesn't disappoint in this series. Couldn't wait to watch the next episode. Really cute!!! Pone Thone Oct 21 2015 7:39 am I don't like the ending.Every episodes has amusements and I like very much.I want Jang Na Ra and Ryu Jin together at the end.There are not many romantic scenes between Jang Na Ra and Ryu Jin.But I like their scenes more than Daniel Choi.I hate Daniel Choi in this drama very much.Sorry for Daniel Choi's fans. layna Feb 02 2015 10:21 am @jenny they have been paired again on school 2013 aired the end of the 2012..
jenny Oct 13 2014 4:14 pm an awesome, very wonderful drama..i loved the cast, the storyline, everything! no wonder it ranked first.. My first time to meet Daniel Choi in a show and i must admit i have fallen for that sweet ,innocent smile that i would want to watch the show all over again, .their chemistry was great , the way they gazed upon each other wooaahhh! i hope to see Choi Daniel and Jang Nara again on screen!! Love u Both!!! Keep it up!!! Park Chohwa Aug 21 2014 12:34 pm A great and realistic romantic-comedy depicting a 34-year old woman's way to survive then succeed. A drama that was not rated the 1st ep, was 17th the 2nd and ended up at number one with two best actors awards for Choi Daniel and Jang Nara. Before, when I watched dramas about clothes, I wouldn't enjoy them much bcoz i understood nothing but after the short sewing course I took I enjoyed every single detail of this drama to the bits. JNR and Daniel look so good together and r just a perfect couple. I added it to my list bcoz of Choi Daniel but I love Na Ra and Ryu Jin so much too. Daniel, though now he's matured indescribably, was awesome. Such a talented and fresh actor. One of my top. Na Ra does well wherever she is. *bows* Ryu Jin..... If I'd ever marry someone to live happily and comfortably it'd be Ryu Jin's character here with every single aspect of it. Without exaggerating, this is one of the most perfect and well-written male characters I've ever watched -if not the best-. The osts are all hits. There were characters that disappeared suddenly and forever and some who lost their roles. And there was that melo element popping out every now and then -the writer is Trot Lovers so-. I absolutely enjoyed the 20 hours I spent on this and it's worth it. For those who didn't watch it, take some time to. For those who did, these photos will help refresh your memories. ponethone Apr 23 2014 9:02 am I don't like the ending.Every episodes has amusements and I like very much.I want Jang Na Ra and Ryu Jin together at the end.There are not many romantic scenes between Jang Na Ra and Ryu Jin.But I like their scenes more than Daniel Choi.I hate Daniel Choi very much. miona Nov 09 2013 11:38 am Soo loving this superb ..wonderful ..charming drama! The two main characters was so lovable! Thank you so much for a great time!! KumbangJahat Oct 02 2013 5:30 pm SUPERB!!!!!!! Nicky Aug 23 2012 7:21 am I wanted to watch this show because I really like Daniel Choi. And I am hooked! At some point, especially at the first 3-4 episodes, I didn't like how the story developed much. I didn't mind missing some parts but from the 5th episodes, I didn't even want to get up and went to bathroom, while watching it. But I have to say the romance between So-Young and Jin Wook is really cute and made me stick to the whole show. Daniel's character is cute and he is really a kind of guy in my dream. He did not give up no matter what. I didn't like Jang Nara much as her expression is not passionate. John H Aug 09 2012 1:08 am This is as good as Shakespeare. Bad Shakespeare, but better than the rest. What a pleasure to watch! Lofty production values, good cinematography, exquisite art direction, useful soundtrack--it doesn't get any better. Plot begins with humor and pathos, and a good cute-meet; then moves into character development. Comedy is the hardest to do and Daniel Choi has the skills and talent to pull it off. What a great actor. Jang Nara shows her considerable abilities and is at the peak of her natural beauty. She's a real charmer. Tori Aug 05 2012 6:18 pm OMG! I loved this drama. To be honest I've seen it around a lot but I tend to go by the cover and it just looked tacky/corny. One day I thought, know what? Just do it. If I don't like the first episode then i'll stop, right? Well...happy to say I am a fan for life. Fell for some new faces and can't wait to watch other dramas/movies with them in it. Most hilarious scene had nothing to do with the actors but a couple in the background. Final episode. Scene 0:39:40-0:39:45. They are tugging at each other while holding hands. Did NOT expect to see a gay couple. LISA Jun 20 2012 3:37 am I will be honest here; Daniel Choi was the only reason I was attracted to the drama. Overall, I do like the drama despite it's cliches and typical k-drama behaviour (such as awkward pauses, long elevator rides, etc). All in all, the evil lead is great, Daniel Choi is a great actor who doesn't play it safe, the president is loveable, and so is the plot. Gasenadi Mar 31 2012 5:53 am Daniel Choi was the main reason I watched this drama. So refreshing to see this type of character as the main lead. I was searching for a comedy to serve as a booster shot after one of the angst-filled kdramas. Actually started quite a few (like Soulmate, You Are Beautiful, Air City, A Thousand's Day Promise) but THIS one caught my attention from the first moment Daniel Choi displayed his talent. He and Jang Nara had delightful chemistry. His character's a true mensch and I rooted for him right up to the end. If you prefer substance over eye-candy, Daniel Choi in this drama is worth your time. (Reminded me of Hwang Jung-Min in Accidental Couple, another great comedy.) Enjoy! J Mar 23 2012 10:10 pm I've watched so many dramas and I must say, Kim Min-Seo's character (Kang Yun-Seo) was one of the most convincing jealous female love rival ever. Every time she walked in on a So-Young-Seong-Il moment, she was intense! tncdel Feb 05 2012 10:33 am I've watched well over a hundred Korean TV dramas so far. This one was so-so. Jang Na-Ra and the rest of the cast did a good job making the most out of the uninspired script. Their efforts were the only thing that stopped me from giving up on it the several times the urge struck. I like to see a main character with a scrappy determination and who stands up for himself / herself. Also, one who is witty, brave and resourceful. But for about the first half of the drama, the scriptwriters had the Lee So-Young character acting stupid and without enough self-respect to stand up for herself. Like how time and time again she let her younger sister get over on her, or seemed clueless on the up-take regarding other matters. Sorry, but I'm rather burned-out on those scripts that portray the main character as stupid and a sucker for others. Sure, she eventually progresses out of the stupid and weak stage. But it lent nothing to the overall script to resort to such tedious main character portrayal for over half the drama. Hopefully the scriptwriters will realize that the "stupid idiot who allows himself / herself to be disrespected and insulted time and time again" is not someone we want to relate to. At heart we are more inspired by examples that IMPRESS us. hitokirihoshi Oct 23 2011 6:53 am its very inspirational for single ladies who think they have no hope in life. surprisingly, it is not jang nara who makes fun in this series but i think she acts very well. daniel choi's character is really cool. nikki Aug 22 2011 11:00 am Does anybody know what glasses jang nara wears? Allen Anis Sanita Jul 12 2011 9:43 pm im in love with Choi Daniel because of this drama!!! sidmangai Jun 21 2011 7:55 pm i enjoy watching this k-drama. i cant help laughing with choi daniel gags. Ryoo jin is cool and cold, but i like his character in this drama. Jang NAra you are indeed a baby faced beauty!fighting!Wish that rating for this drama will reach 20++%, its worth it! Come on people, lets support BABY FACED BEAUTY!! aja!!! sidmangai Jun 11 2011 7:59 pm i like watching baby faced beauty, hope that more will like this and ends with positive rating. I love the love story between nara and daniel. Surely,they make me laugh and "kilig"!!!!!. FableCat Jun 07 2011 8:15 am Watching the 8th episode right now. Laughing a lot. It's true that I hate it when everyone was mean to Lee Soyeung (Jang Nara) but it got a lot better at episode 5th. Love Daniel Choi and Hyun Young characters as well. 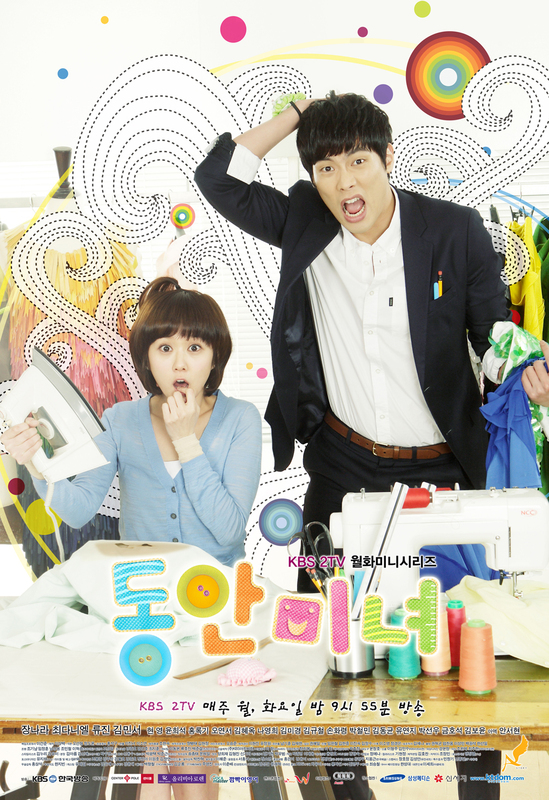 KW Sia May 29 2011 7:22 am I love is drama this because very funny & Jang Nara really genuine beauty & cute. aryanna May 27 2011 3:46 am love this drama.. cannot wait to watch till the end..
Olivia May 25 2011 9:29 am what I like about this drama is that Jang Nara is really genuine in this drama, and I think this is her best acting ever, her Chinese drama are worst since she was only " Korean Actress" and all. Choi Daniel is also really gives his best (a brilliant actor), I can't forget his face when Nara provokes him and he seems really tear apart and ends up kissing her and then he feels so sorry then. Ryu Jin is not that "cool but needy" one and I think the sister character actually set Nara's character to a better life. (well, she meets the cutie Daniel...can't blame her...). But really....this shows is really simple and heartwarming, u might wont put it as ur best list drama, but u definitely have TO WATCH IT....!!!! It's sweet, gives you good vibe, and a feeling that, when a door close then there will be another window open for you....little bit classic but you wont stop thinking about its characters....so watch it first, and if you don't like it then leave it, but if you like it...you will smile...worth a try right? FableCat May 23 2011 10:40 am I like Jang Nara but this drama really make me mad.... It's the part where her sister Sojin kept messing Soyeung's life. My mom like the first episode but when Sojin kept doing cruel mean things at Soyeung, my mom didn't bother to finish today episode (3rd) or the last one. I hate this type selfish unkind sister too. dina May 22 2011 9:59 am very nice drama comeback for jang nara. cannot wait the succeeding episodes..
yen May 20 2011 9:28 pm very funny..jang nara is so cute.